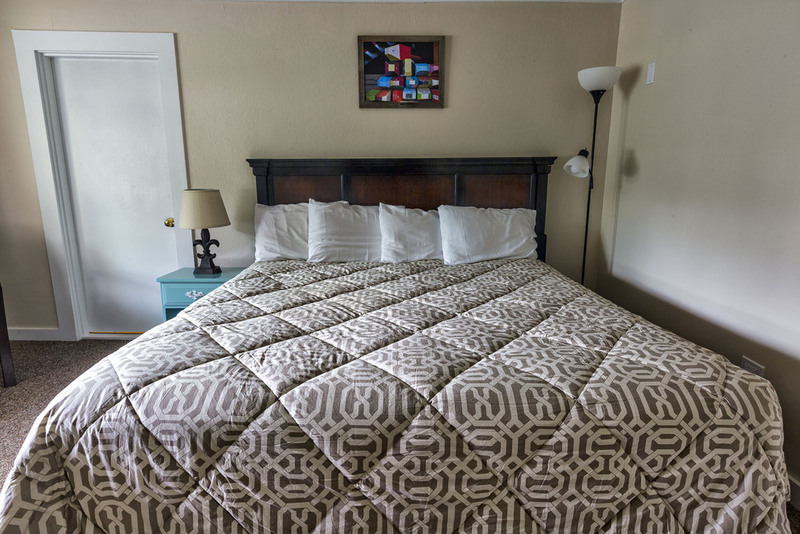 All rooms have Serta professional or similar mattresses and box springs encased with CleanRest Pro protectors. All beds are then outfitted with fine cotton mattress covers, sheets, blankets and topped with fluffy Pottery Barn duvets. 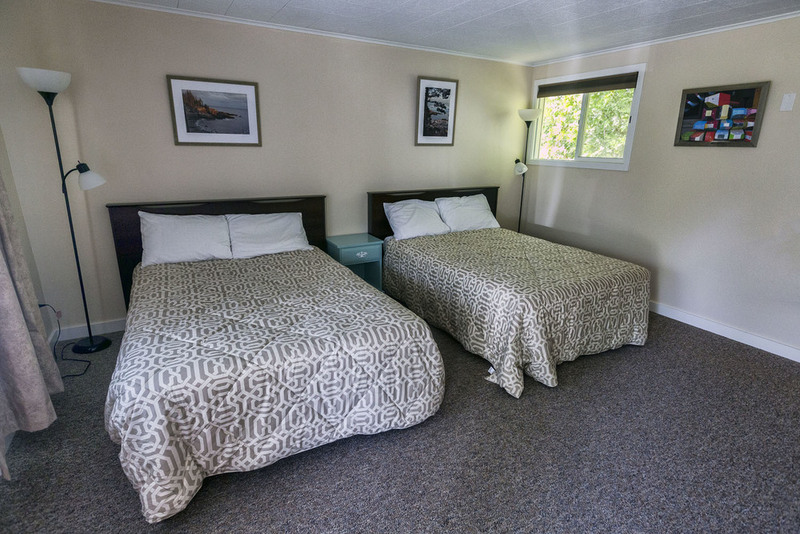 Each room is supplied with a mini-refrigerator, microwave and coffee maker. Comfortable arm chairs and coffee table complete a room decorated with contemporary window treatments and sheers. 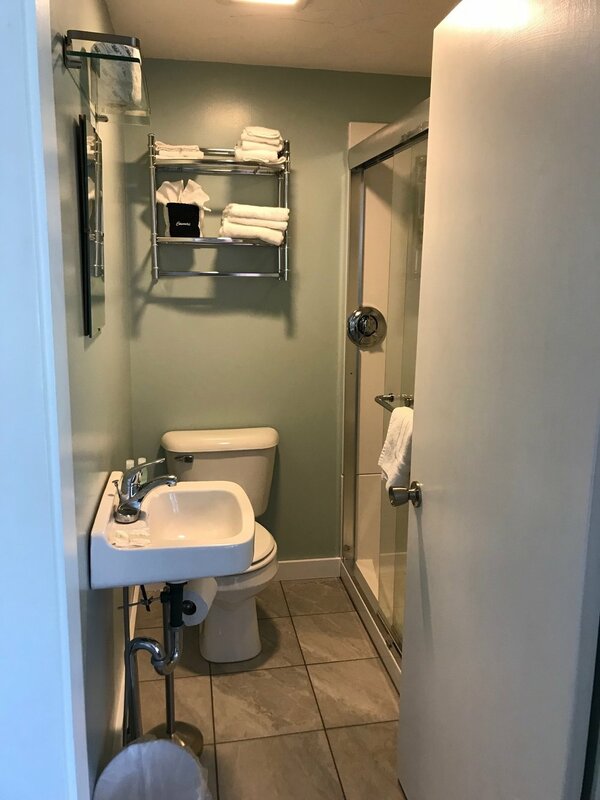 The completely renovated bathroom boasts of walk-in showers, modern amenities, and classic Italian tile. 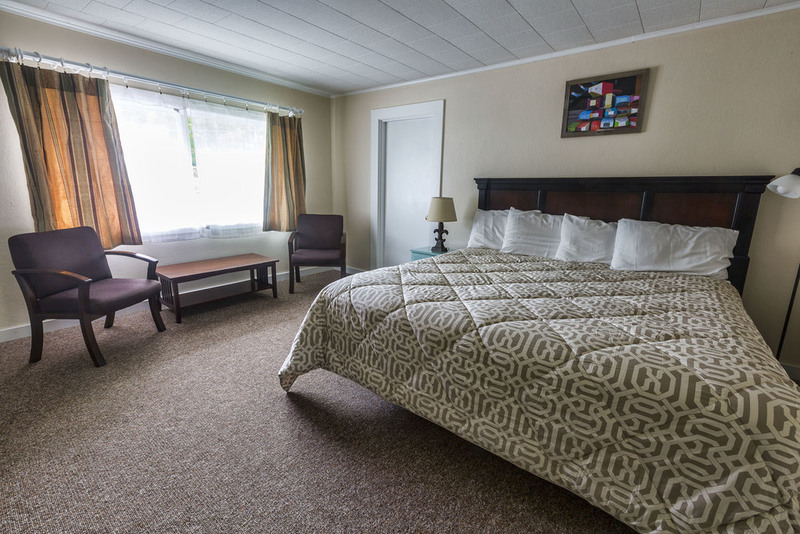 Our Queen rooms are outfitted with all of the same offerings as our Kings. 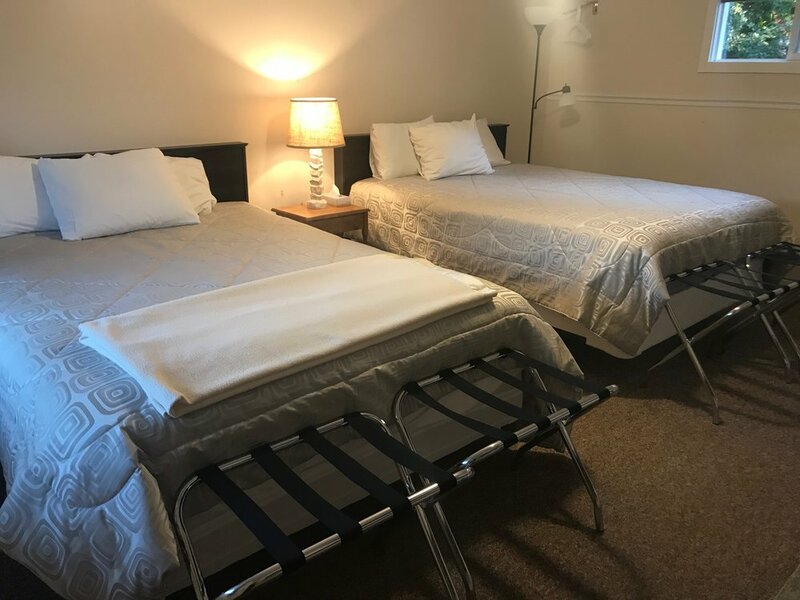 Sleep up to 4 in our Double Queen rooms with two full beds outfitted with fine cotton mattress covers, sheets, blankets and topped with comforters. Each room is supplied with a mini-refrigerator, microwave and coffee maker, and is decorated with contemporary window treatments and sheers. All deposits (typically one night) will be fully refunded for cancellations 3 days prior to date of arrival. A one night fee will be forfeit and non-refundable after that time. No shows and early check outs will be be charged the full stay.